This study examined drivers of yellow perch (Perca flavescens) growth in lakes near the northern limit of the species. Three northeast Alberta lakes were surveyed in 1996-1997 and 2009-2010. In the initial survey, the three lakes displayed the full range of perch growth from high density, stunted fish (~10,000 fish/ha, 15 cm), to a low density population that grew to trophy size (~100 fish/ha, 30 cm). In 2009-2010, a repeat survey was conducted to verify if between lake growth differences endured over time and elucidate potential causes of between lake growth variations. Two of the study lakes maintained consistent population demographics and community structure between the surveys while the fish assemblage and perch growth changed significantly at one lake between the surveys. In this lake (Mildred Lake) the community structure changed as two top-piscivore species established throughout and perch density decreased concomitantly. In response, perch showed a significant increase in maximum size (from 20 to 30 cm) and condition factor. 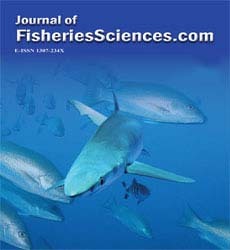 Other possible causes of growth variation were also investigated; differences in diet, or an ontogenetic shift to piscivory appeared to have little influence on perch growth variation. Additionally, differences in genetic ancestry (as measured using DNA microsatellites), were not related to growth differences. Perch density, controlled by predation, appeared to be the dominant factor influencing growth differences over time and between lakes.